and now offering cleaning services in and around the Camberley (Surrey) and Fleet (Hampshire) areas. 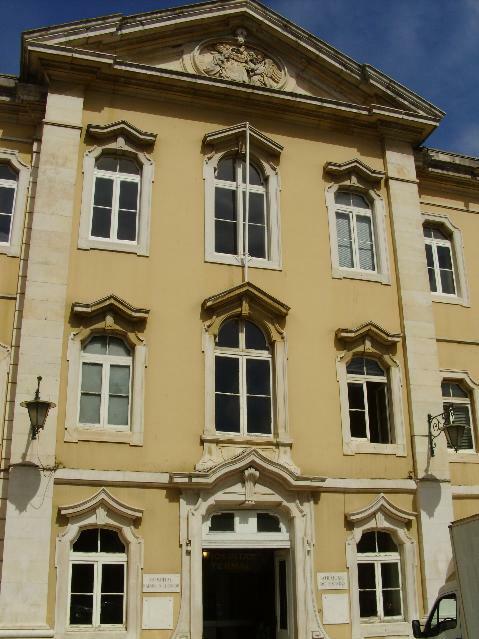 For unfurnished property rentals I'd suggest a walk down the main streets of Caldas da Rainha. I know several agents near the post office and on down towards the statue of the queen who all have rental properties available. The area around the lagoon commands high rental rates for tourism, which is also why there is a lot of property being built for sale (especially now on the side with four new golf courses). If you are looking to rent for only one year, then the owner will want you to pay at least as much as the property will earn during one full tourist season. If you go ten kilometres inland, or less to the city of Caldas da Rainha, then the property rental market will be more residential in nature. There owners will be looking for real long term tenants, which is usually much more than a year. Residential rents will be much less expensive, usually unfurnished, and usually in areas not associated with tourism. So, to sum up, if you want to rent, you either look for tourist rental and pay a lot, or go to estate agents and look for residential rental. But if you tell them you only want one year, most landlords will not be interested. Hope that sheds some light on the issue for you. Parliament can't just ignore the 63% who didn't vote Brexit. Can they?. On a turnout of 72% of electorate, 51.9% voted out, 48.1% voted in. that means that only 37% wanted Brexit. budget, indeed you could find some a bit below it. contract the higher the rent. the shops might go for more than out of town. plenty of history locally to indulge in. you in contact with agents if you like. rental ourselves. So be sure to contact us when you visit. But, I think you'll find their vehicles smaller than you are used to in North America. If you want a big Winnebago you'll probably need to bring one with you. The book is by Ron and Adele Milavsky an American couple who are somewhat famous for having used their RV for years in Europe. And I'm told it has tips on bringing one over. Ups , with another pc we finally read the files! 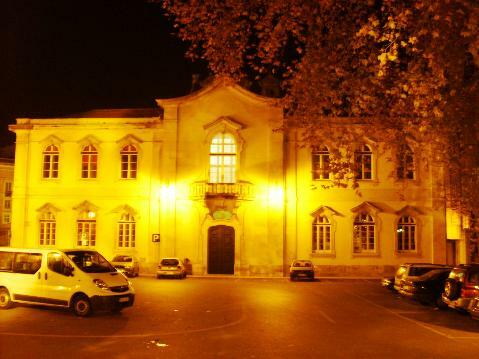 Thank you for your interest in receiving information about CLIC Colegio Luso Internacional do Centro and very glad to hear you are planning to move to Portugal. We are a small school located in Marinha Grande with a total of 150 students and support English and Portuguese lessons for all our International students enrolled at our school. (Normally Enrolment or Registration is done between the months of May and June to allow us to order books, material, uniforms and prepare timetables for students for the start of the new academic year). CLIC is a Multicultural International school in the central coast of Portugal, so we receive children from many countries around the world from year to year. We have students from the UK, Switzerland, Holland, France, Spain, Venezuela, Argentina, Brasil, Russia, Africa, China, Macau, USA, and many others. Thanks for your post to the Silver Coast property blog. I have forwarded your enquiry on to the school you enquired about. Hopefully you will receive a response from them soon. Good luck with your bed and breakfast. Where will it be located? Please post your replies and other feedback you get on schools in the area to the blog here..
We are from Flanders, Belgium. We have the intention to take over a bed and breakfast on the Silver Coast at the end of the year! Our daughter is 10 yrs! She has a small 'pc knowledge' of English! Can she follow lessons in your school? How does Prime School compare to Carlucci or St Julians in terms of quality of education and certification of their programs. There appears to be a big difference in tuition fees between Prime and the other two schools and we are looking to find whether this difference is merited and for particular reasons. Any advice you can send our way would be much appreciated. We currently live in Northern California, USA and considering a move to the Lisbon area due to a job opportunity. Many thanks for your informative and prompt reply. The agencies most likely to have such properties on their books will not be typical estate agents, but more likely to be the property management companies who deal with foreign owners. Ennis Property Management, has managed a few of my properties over the years. As the market has expanded there are now many other very recently formed companies who I've not yet dealt with. Winter rental is a limited market compared to long term residential and as such most estate agencies don't tend to specialise in that area. For longer term rental, pretty much all estate agents here have property to rent, but of course the owners are not interested in what they would consider a short term (6 month) rental. A typical owner looking to rent for six months in the winter time will be someone who uses his property in the summer, or rents it in the summer for tourism and they may well consider six months in the off peak times. Foreign owners are probably your best bet, because Lisbon owners may well want to come up here and use their properties at weekends as well as the summer. I have a couple of properties available for sale or longer term rental but neither is likely to be suitable for your needs. in a condominium with shared pool and tennis where many owners use the properties at weekends, and I don't think it is suitable for your dogs. which we are prepared to rent for a long term contract preferably of at least a couple of years, so we would not be interested in renting for anything less than one year. Hope the links above prove useful. >What is the fee structure of primary school? and click on the "school fees" link in the right hand menu it will download a pdf file of the latest fee structure. which I have downloaded myself today and sent you privately as an email attachment. What is the fee structure of primary school? The Thermal Spa in Caldas da Rainha has been undergoing reorganisation and is I believe recruiting new management and staff, so the current treatment schedule is best obtained by enquiring directly from them. (although I think it is probably a bit late to book any treatments for July 2015). The contact telephone numbers are in the PDF files in multiple languages, currently listed as Portuguese, English, French and Spanish which you can also download directly from the same web site location. Hosp termal noite" por Carlos Luis M C da Cruz - Obra do próprio. I've sent you privately by email attachment the English language PDF informacao_termal_ingles.pdf which has many of the phone numbers you need. you will find an email address for the Museum which may or may not be accurate? (the URL for the Facebook page given on that site is not working which is not a good sign). Of course you can publish my questions in your blog. Please tell me in Termal das Caldas da Rainha, in July there is a thermal procedures or only museum? If there is some other matter or tourist information you were looking for please let me know. May I have permission to publish your request and my answer on my blog? Many thanks for your patient reply! résidentielle est de 6500 EUR pour un an. reasonable offer with or without the equipment. which can be renewed by the new owner if required. le nouveau propriétaire si nécessaire. We know this place . Healthy borrowing by everyday folk and responsible organisations creates good money. That good money is needed to fix the mess made by those in power who printed money by lending irresponsibly. The situation does seem somewhat ironic. Is the irony of the Dad's Army and Kitchener posters intended? Investment Properties For Sale on the Silver Coast, Portugal. Investment Property For Sale on the Algarve, Portugal.